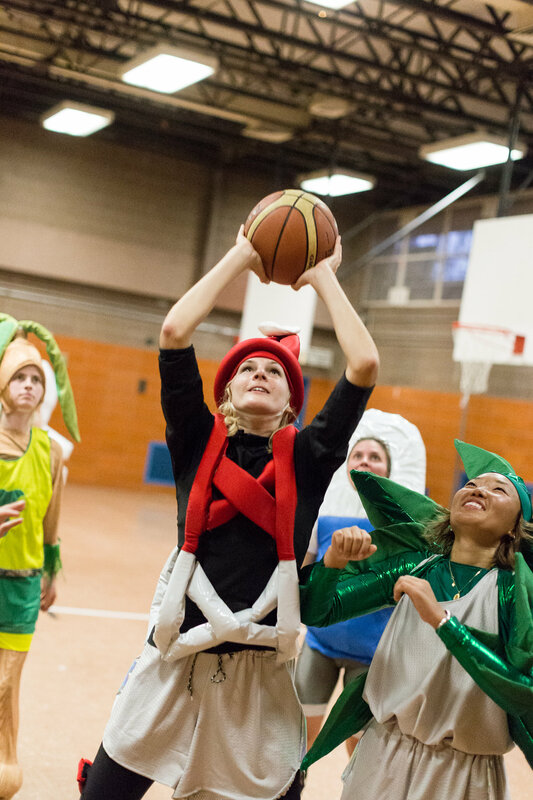 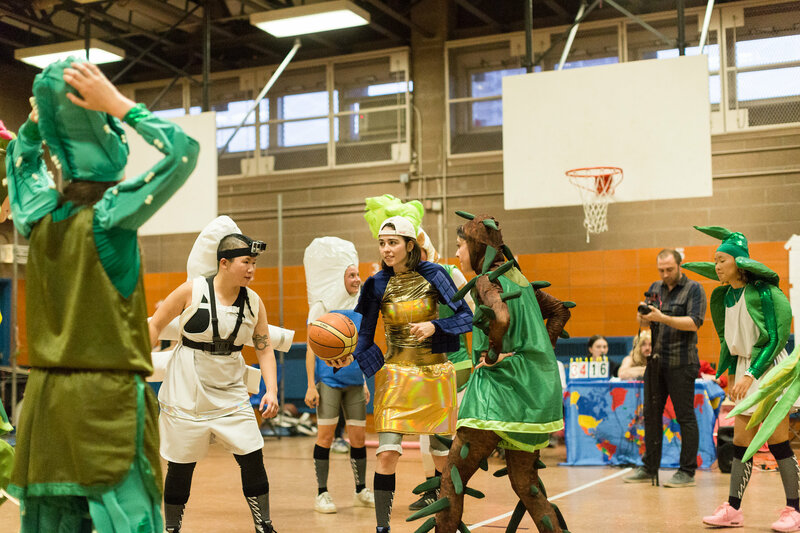 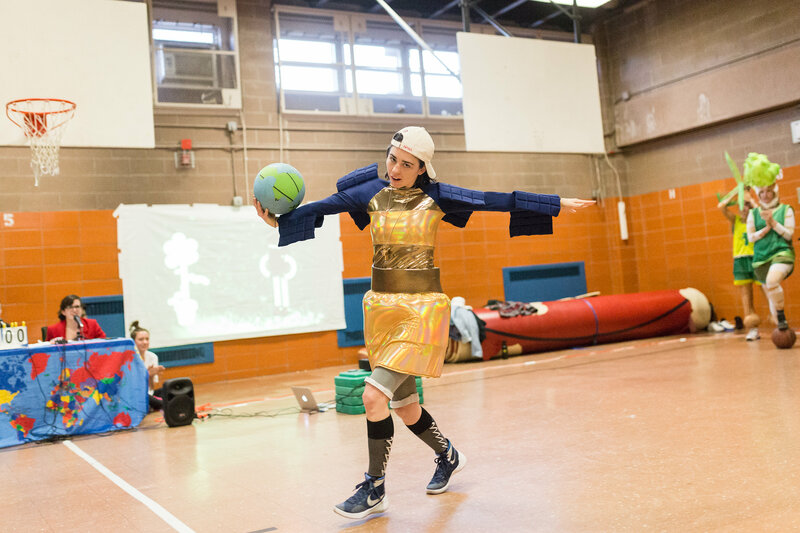 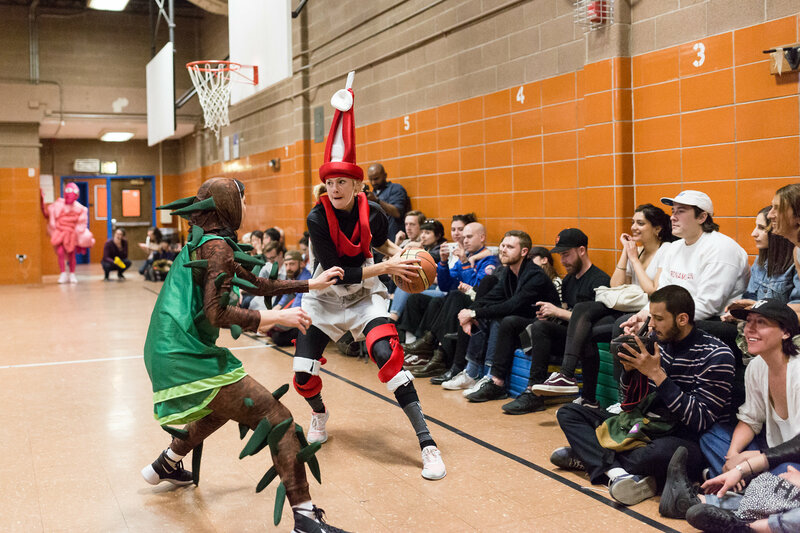 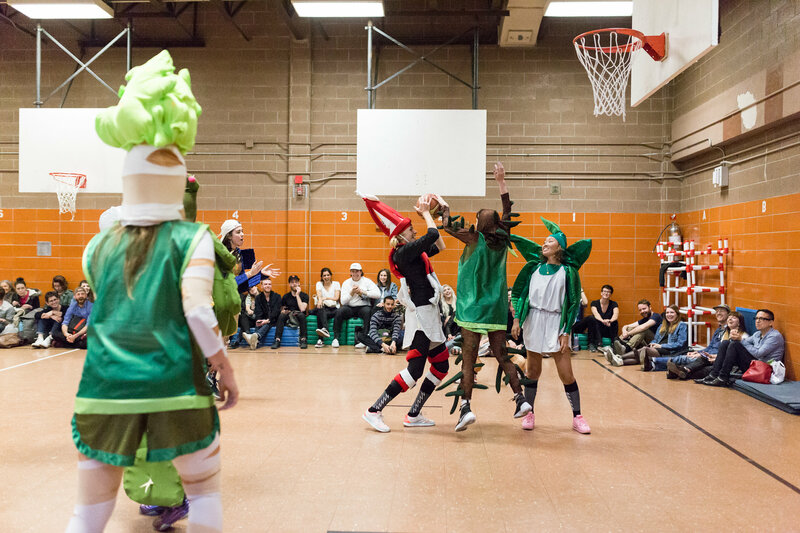 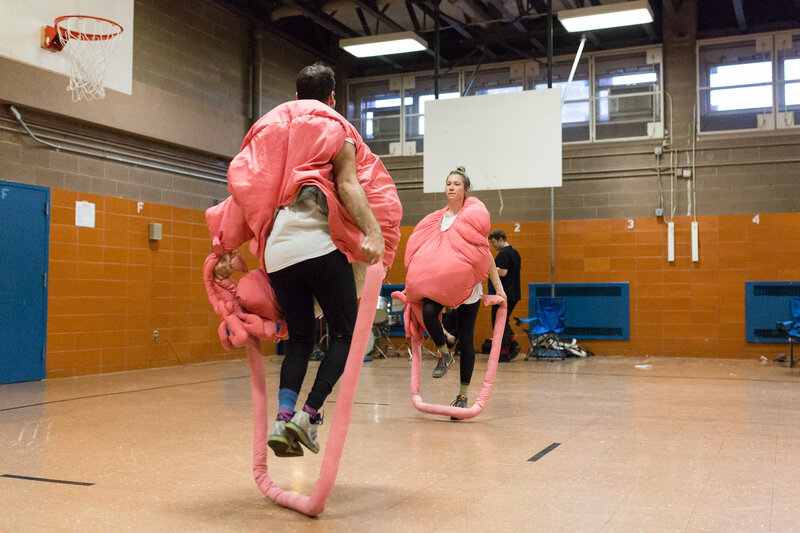 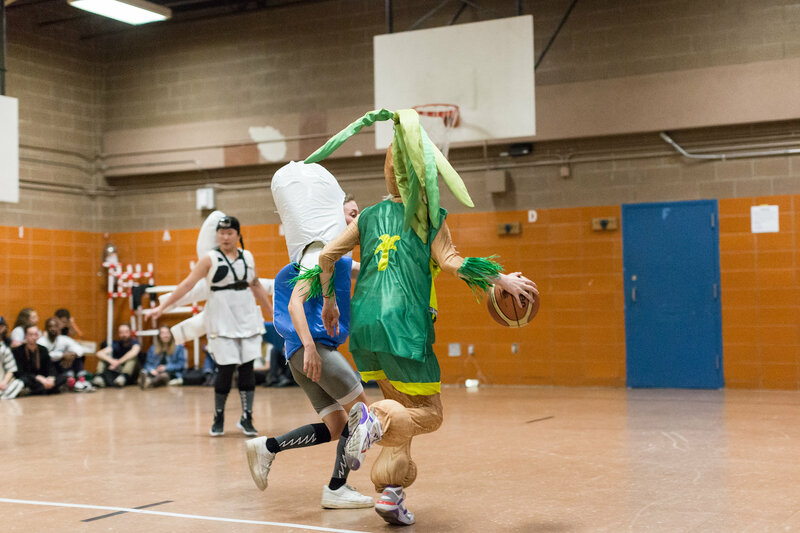 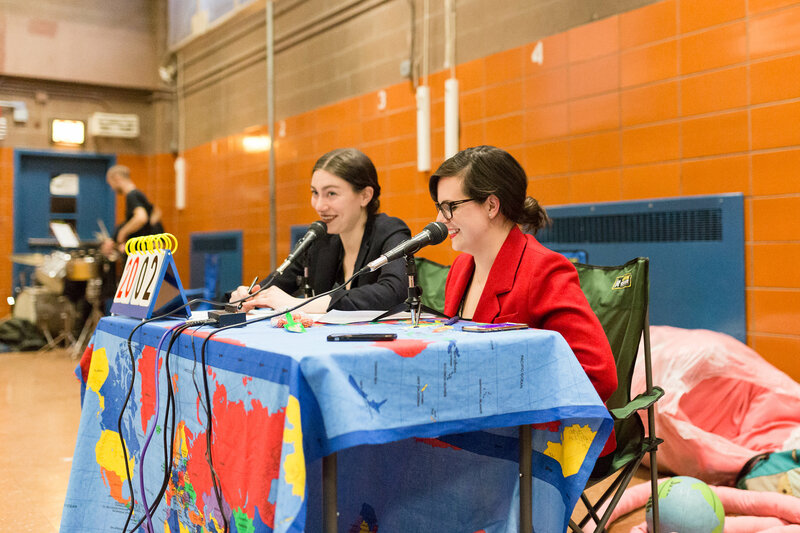 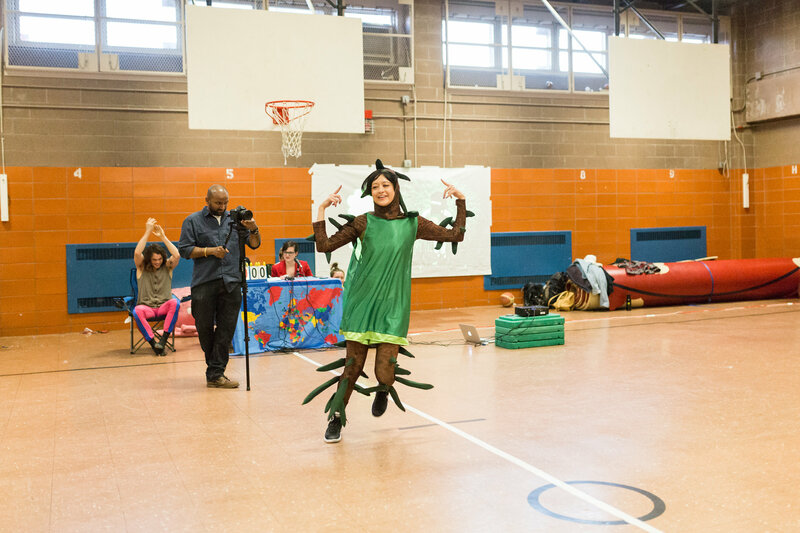 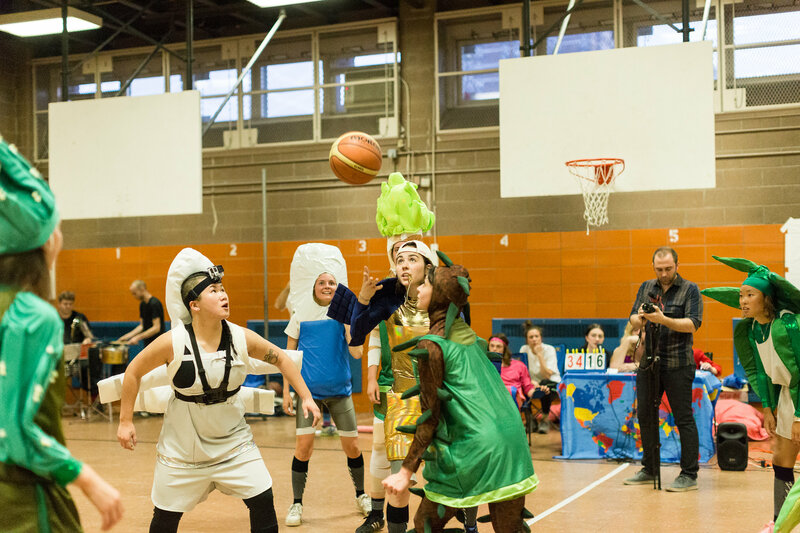 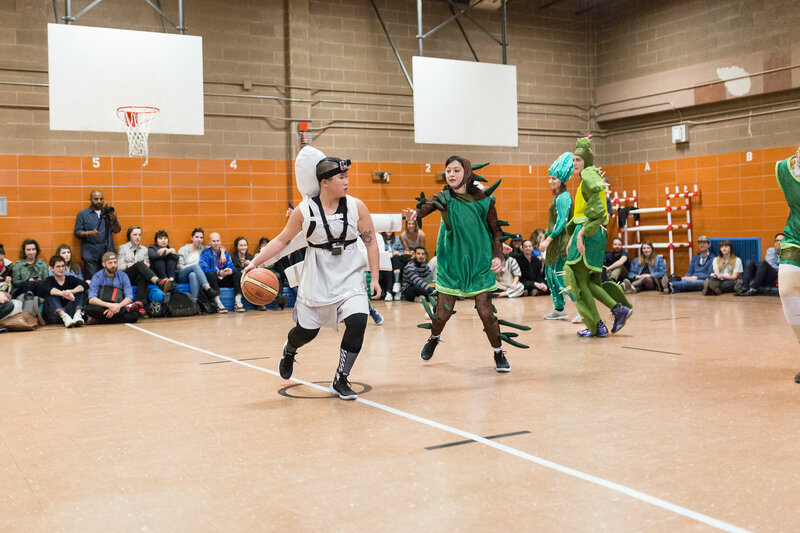 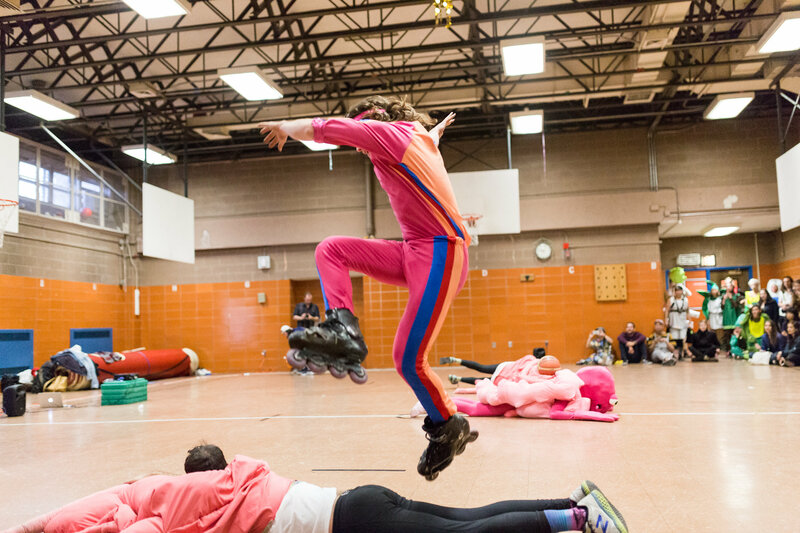 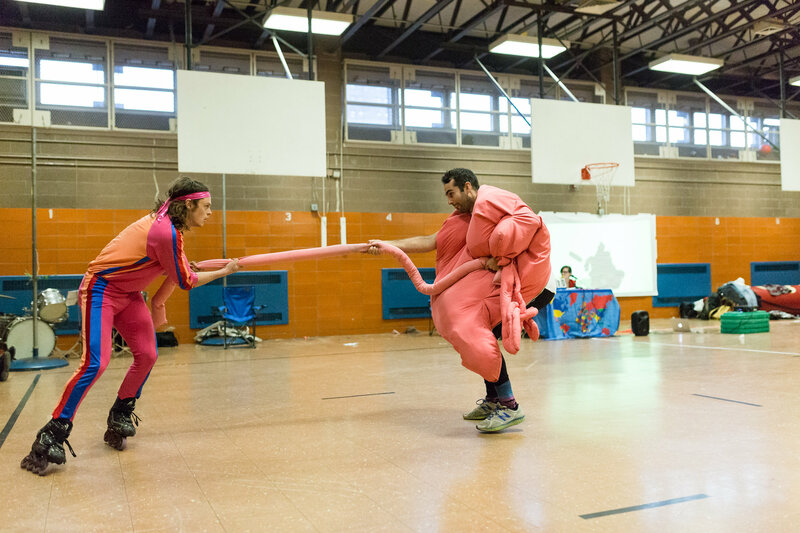 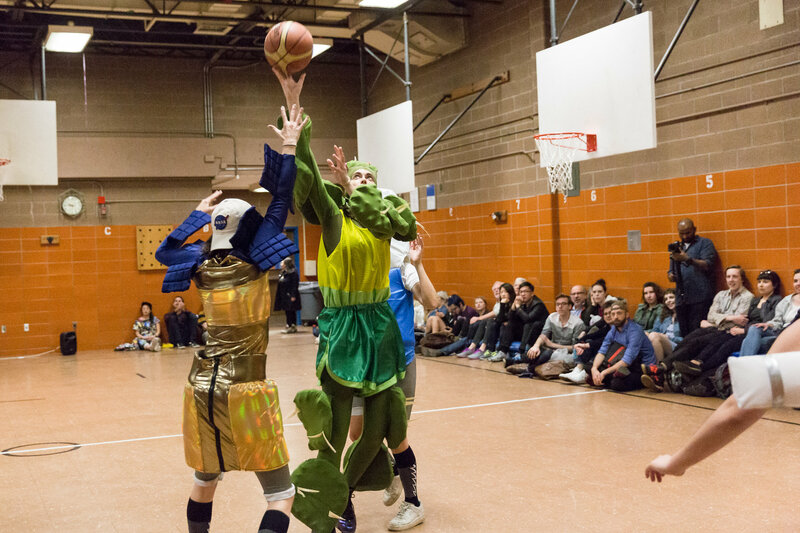 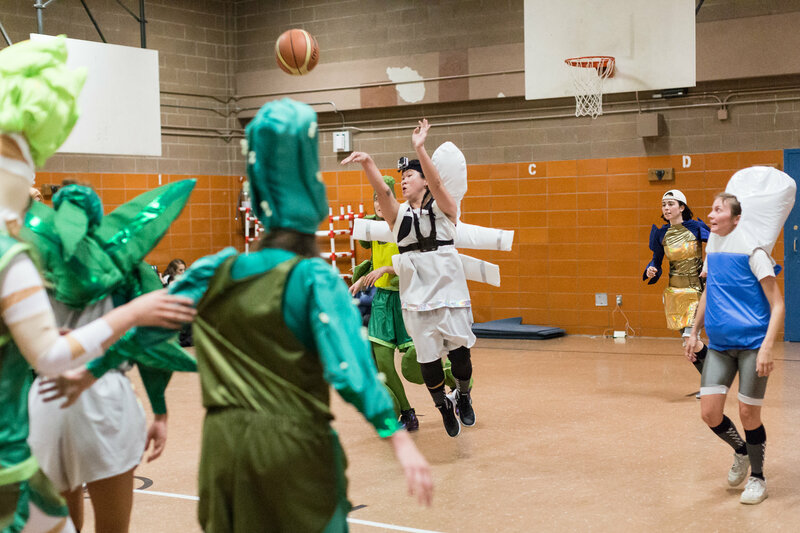 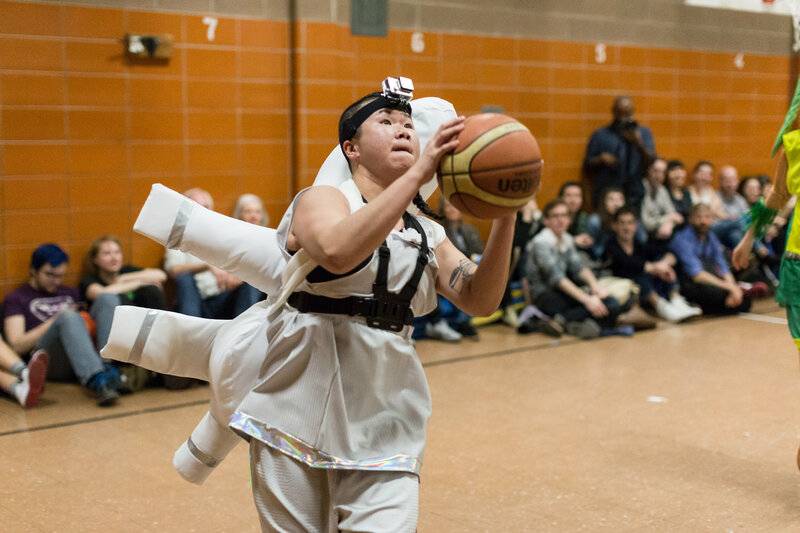 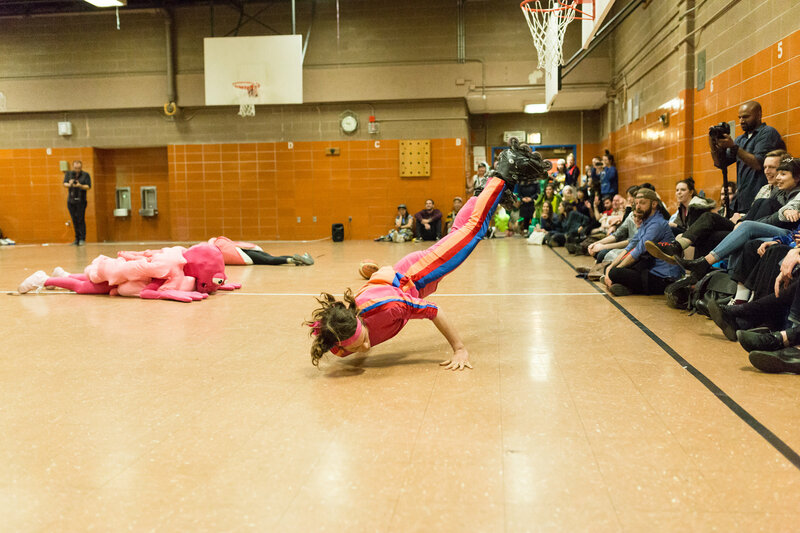 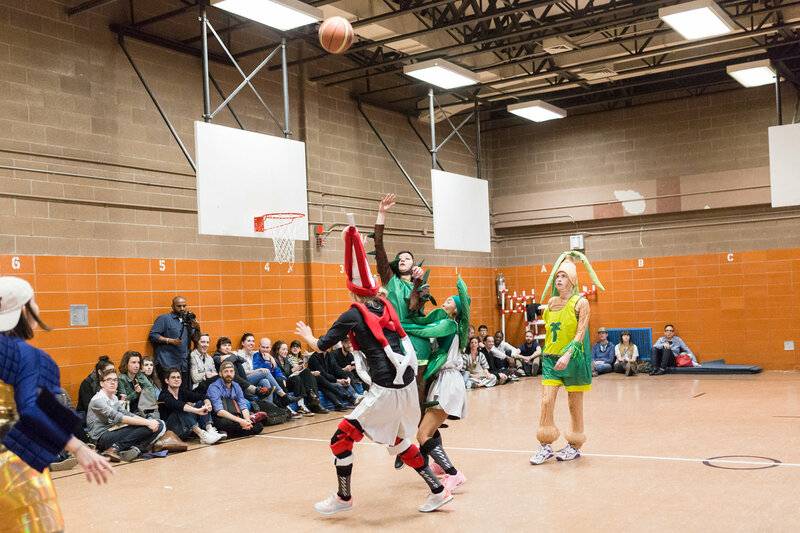 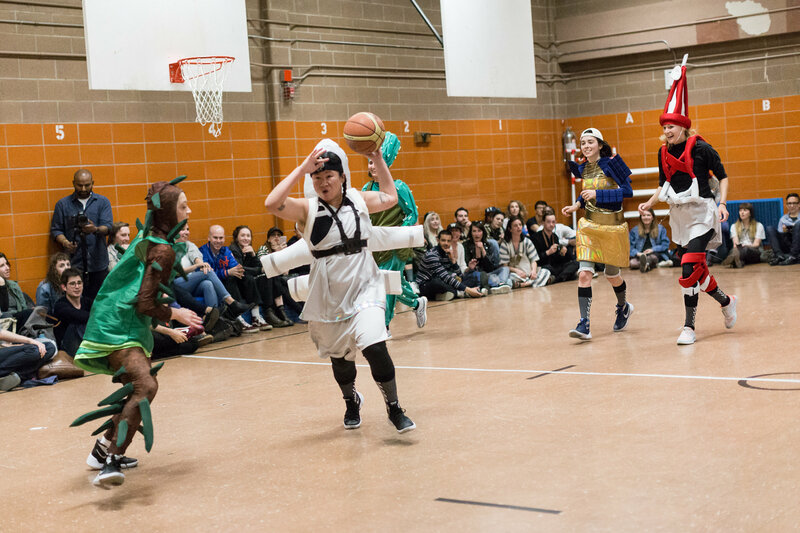 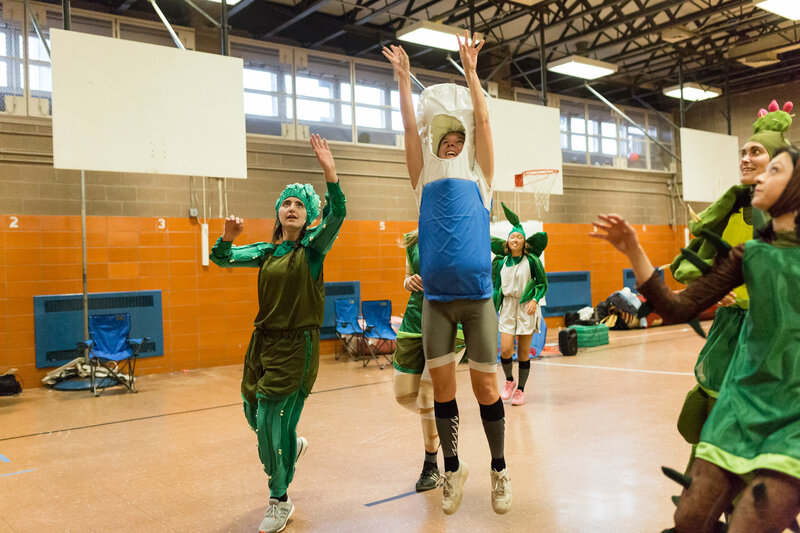 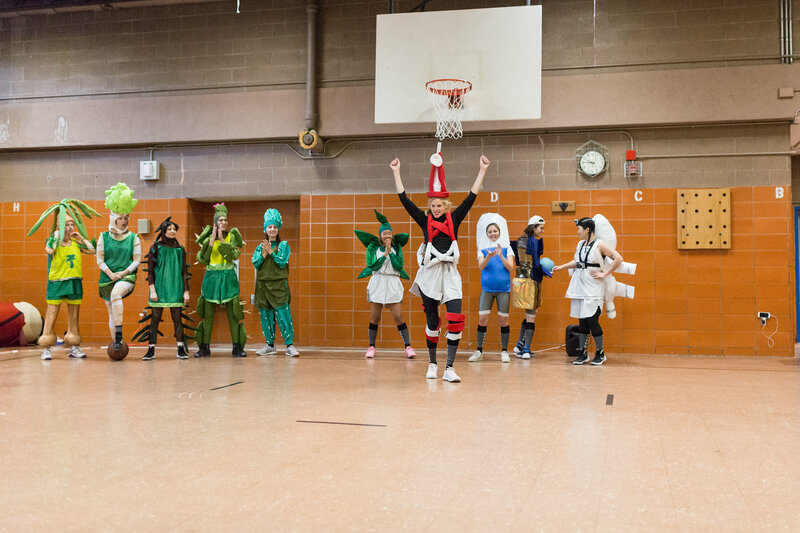 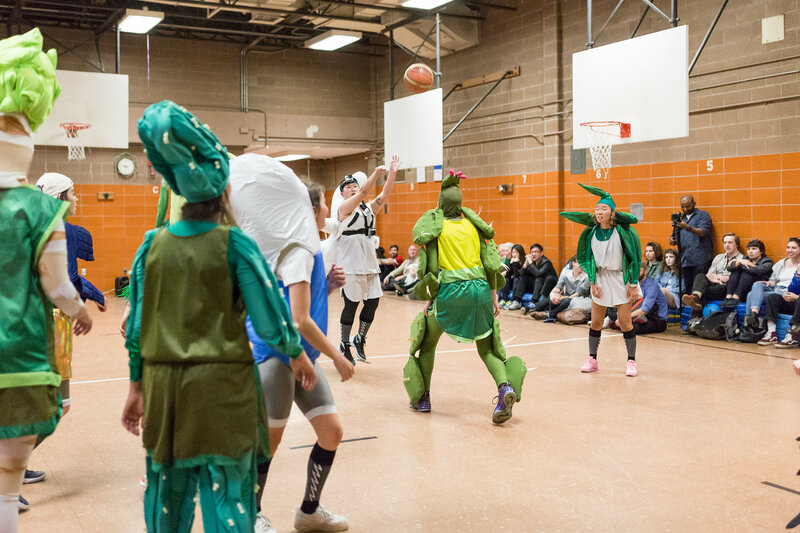 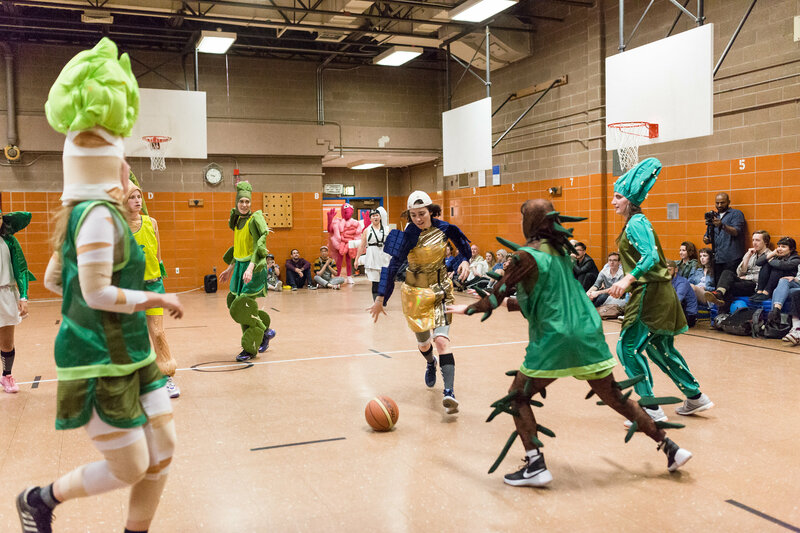 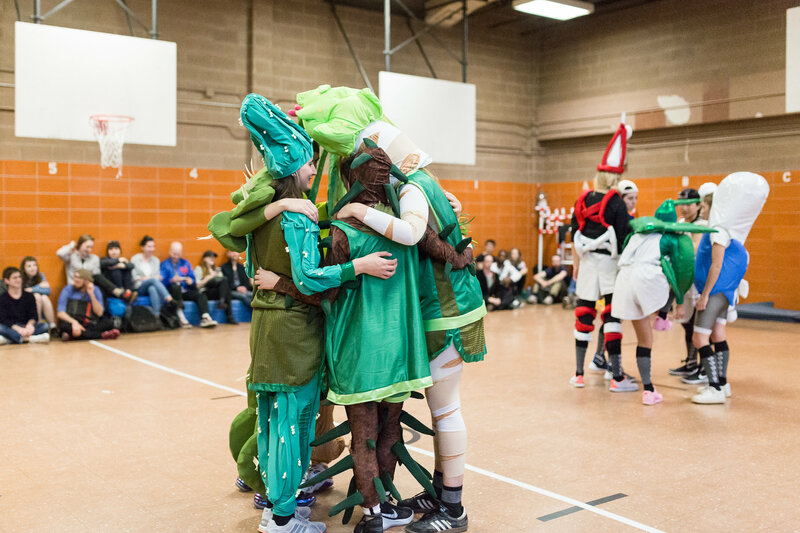 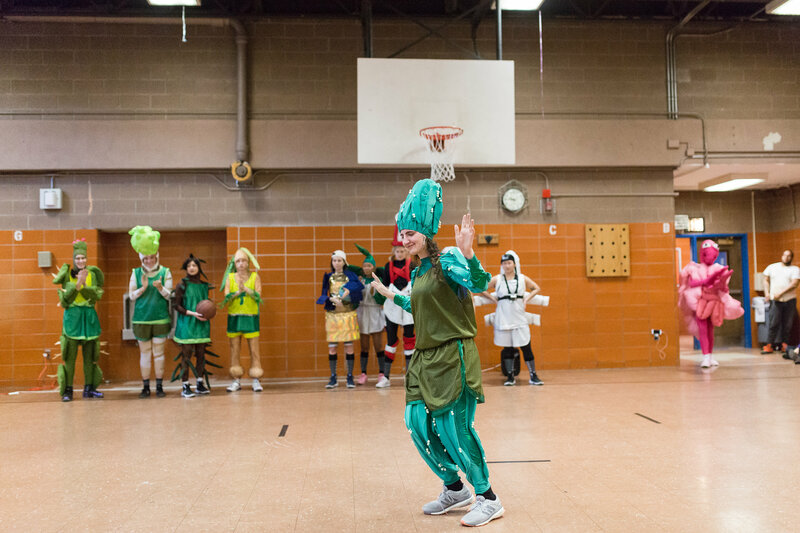 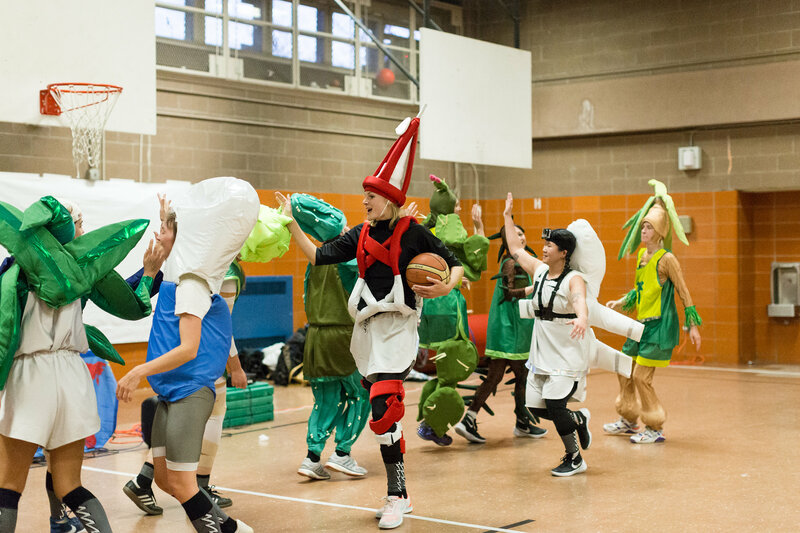 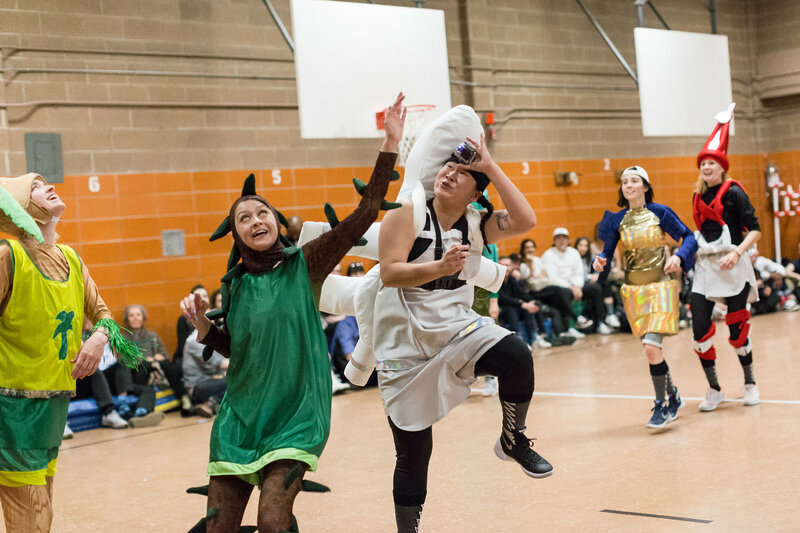 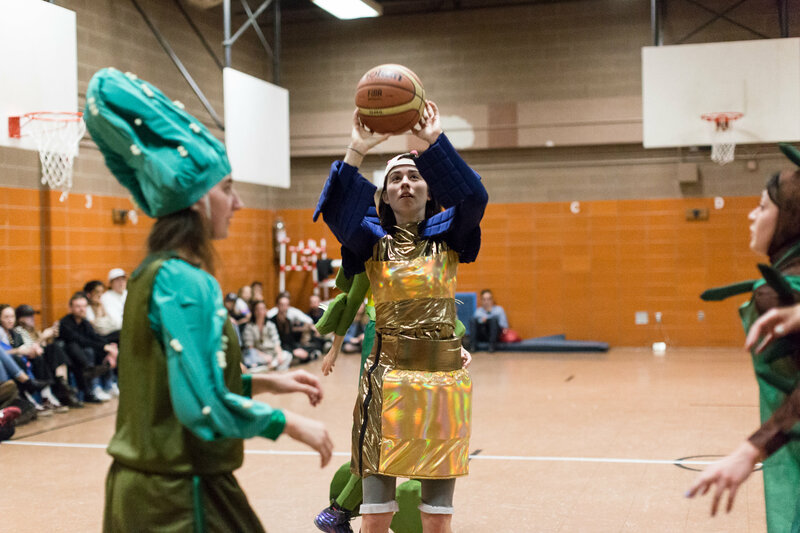 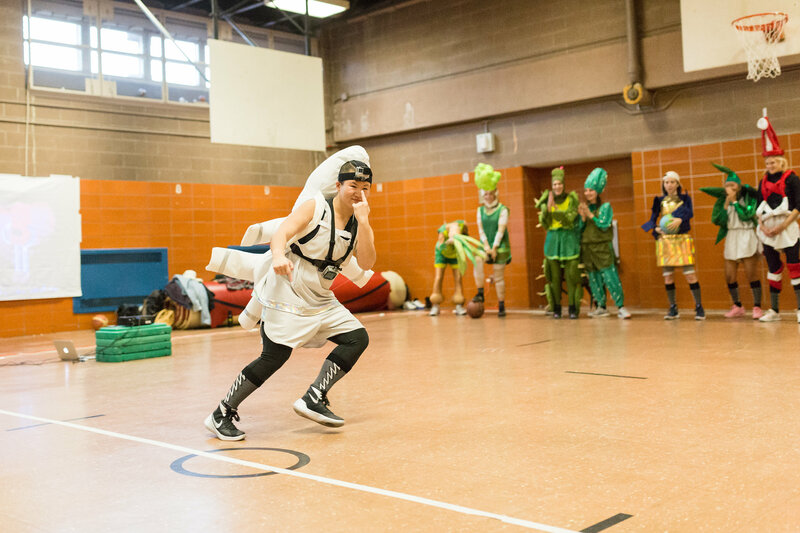 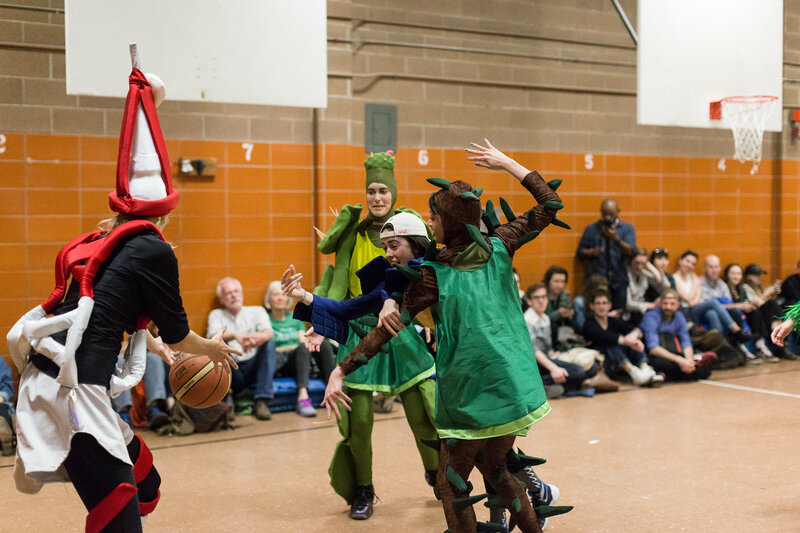 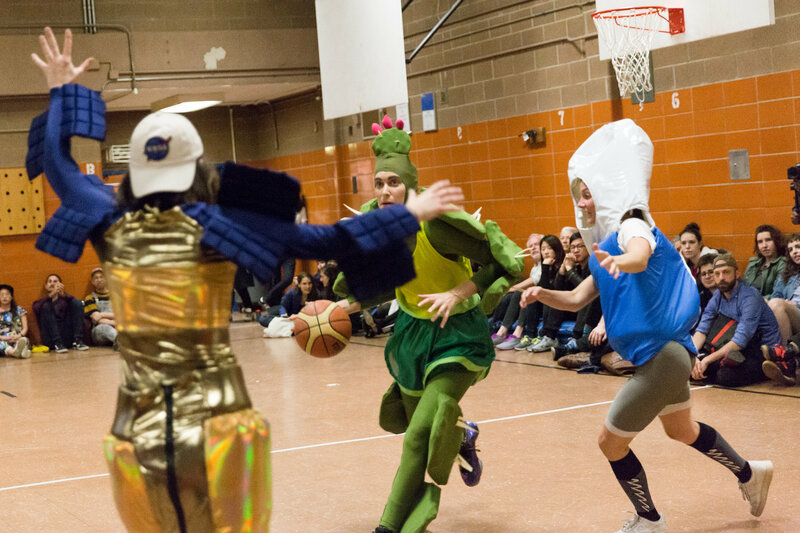 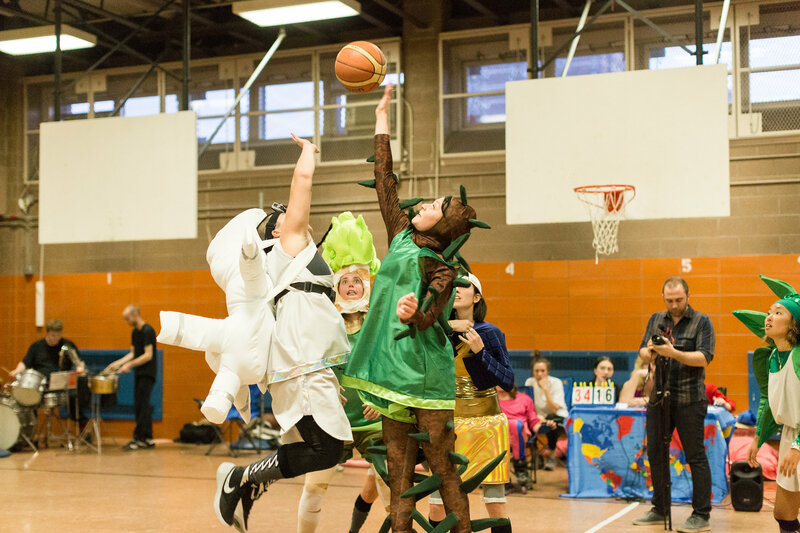 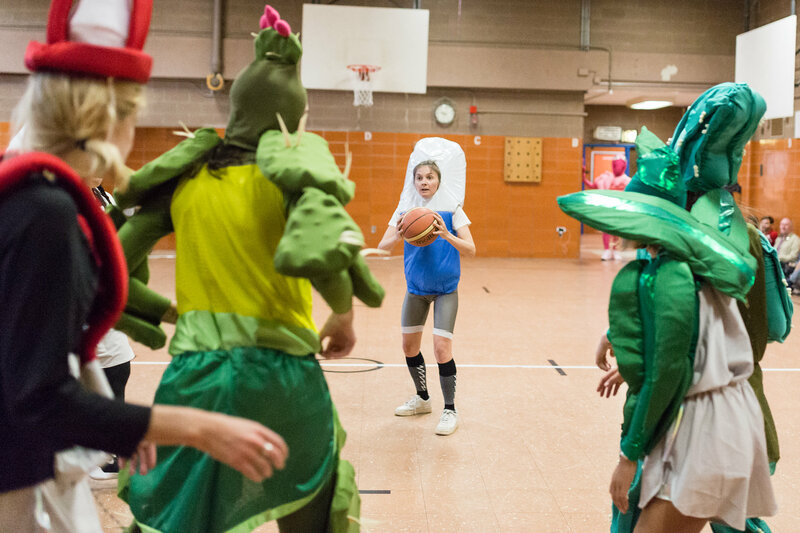 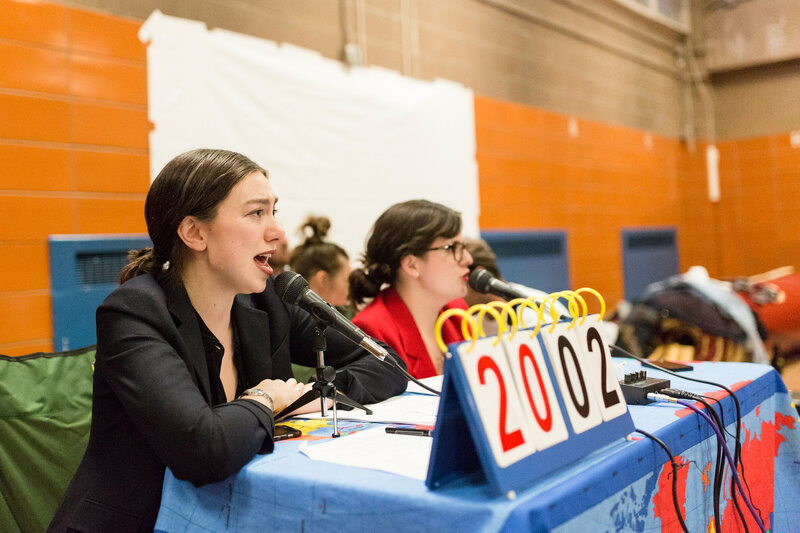 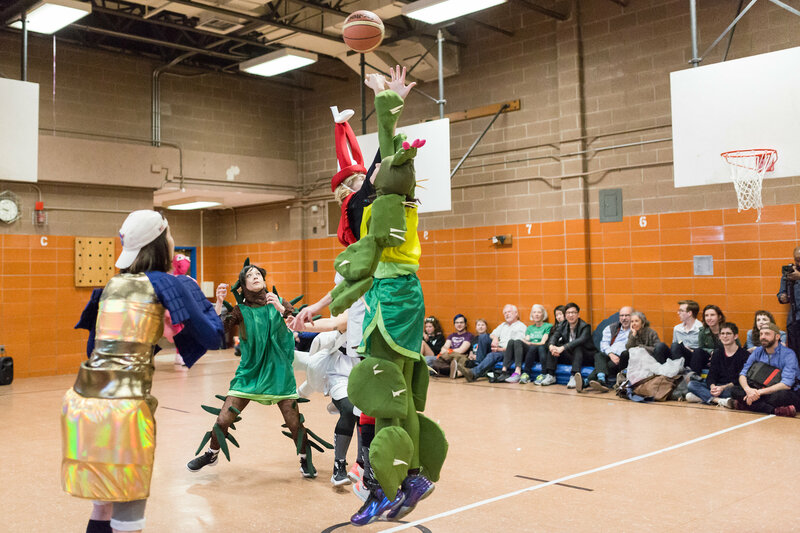 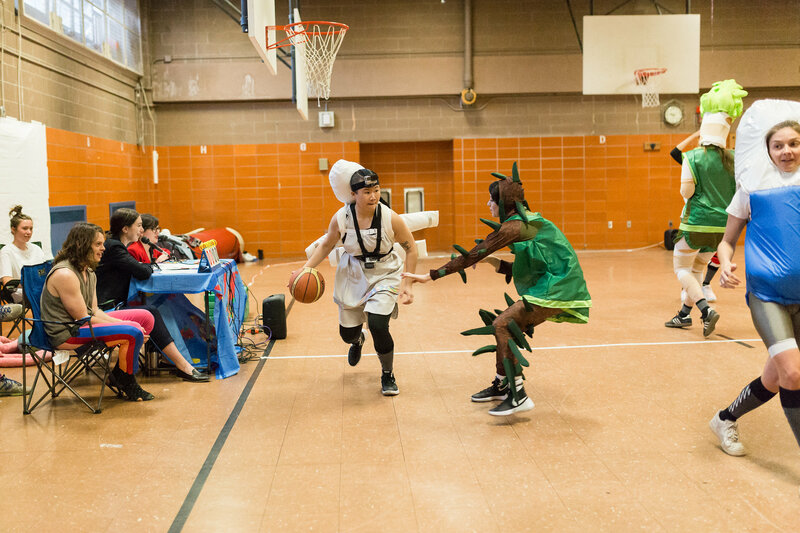 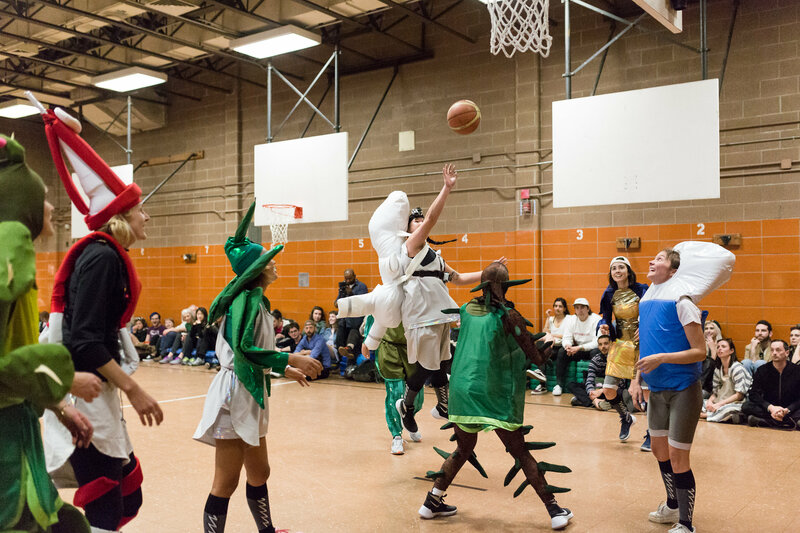 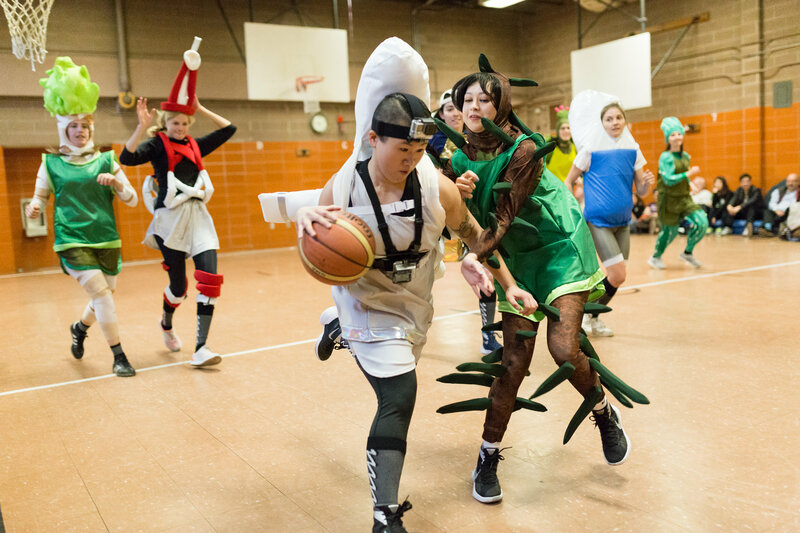 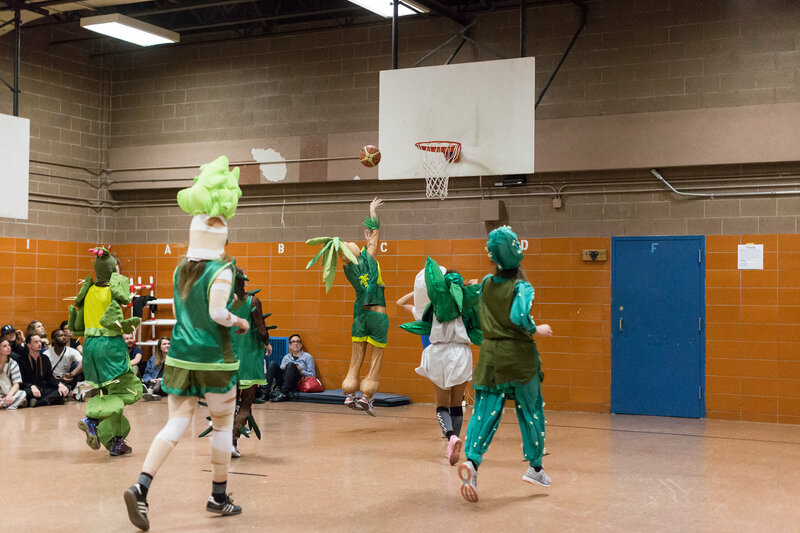 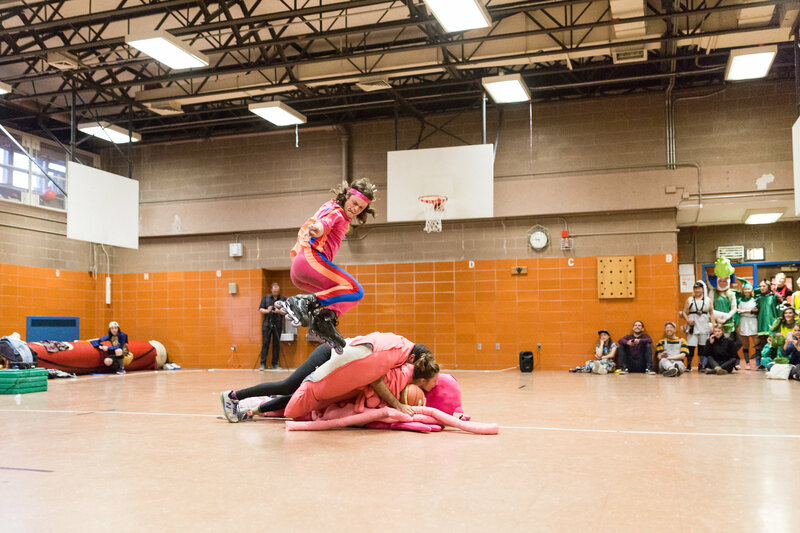 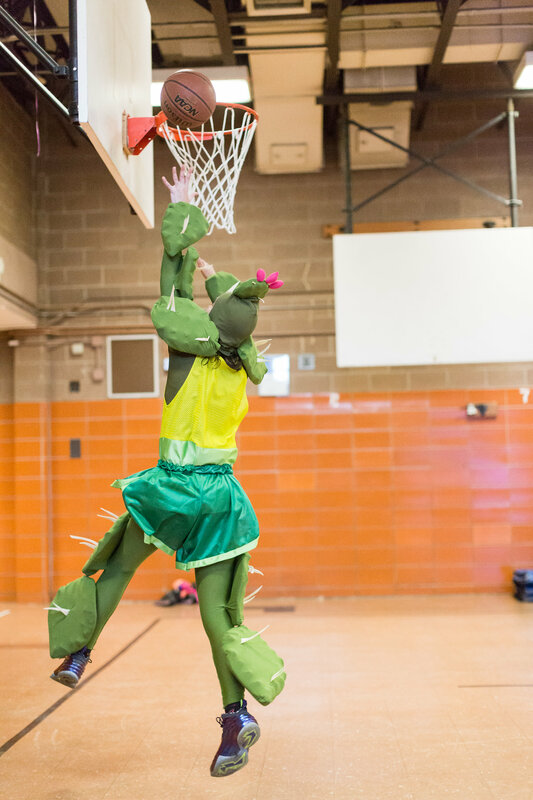 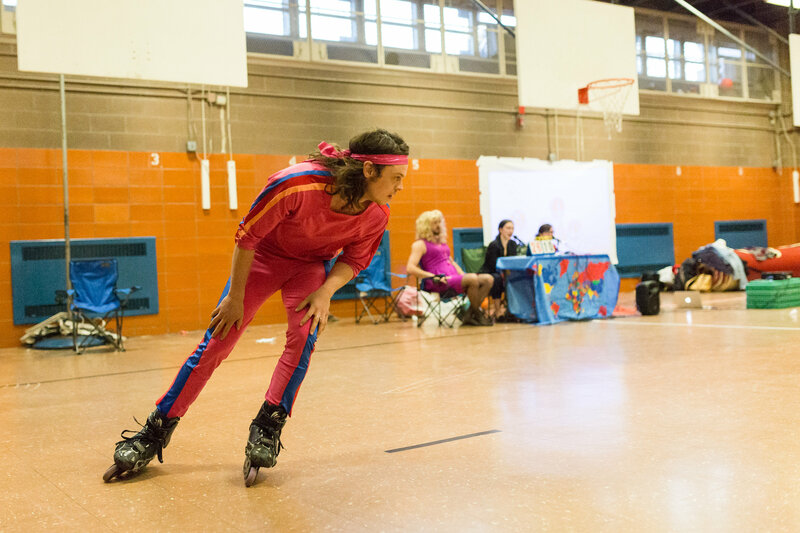 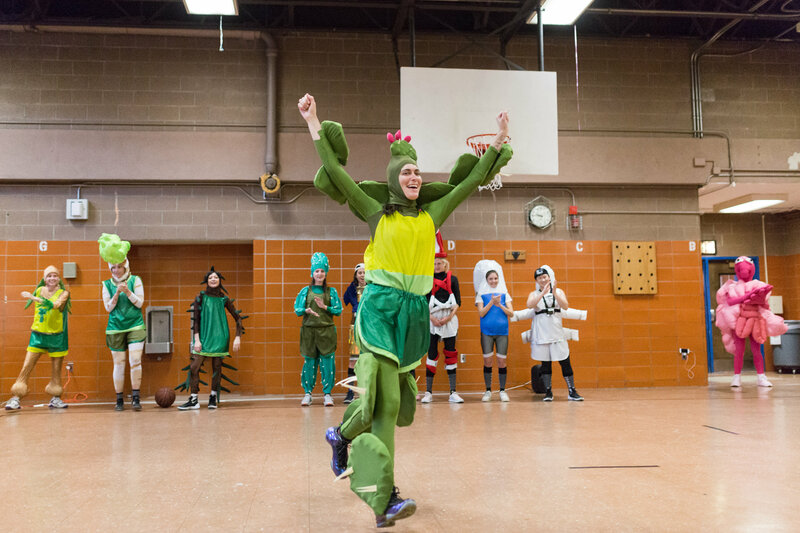 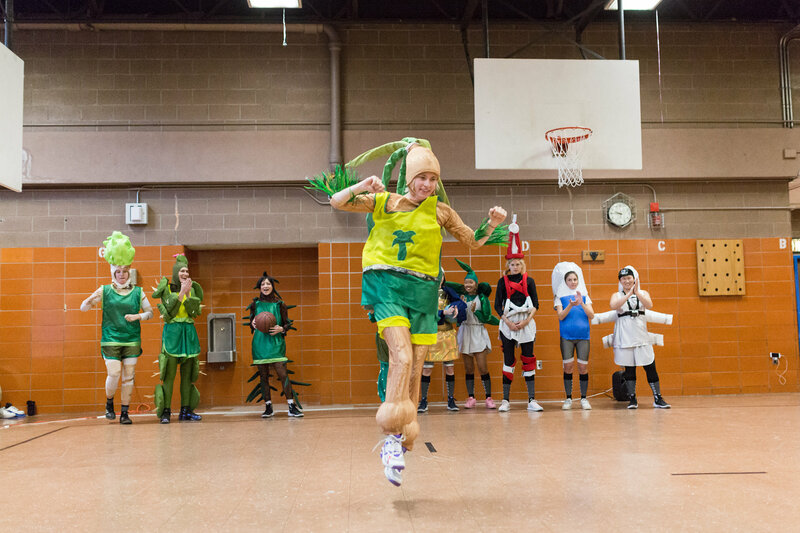 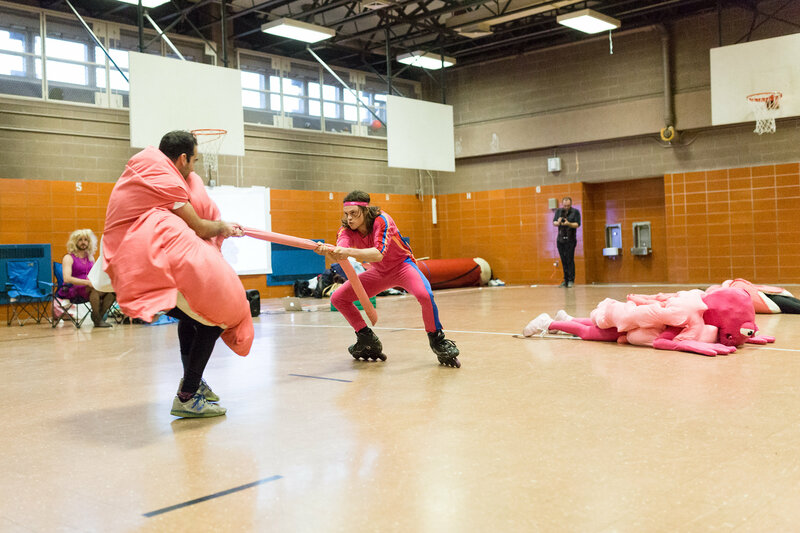 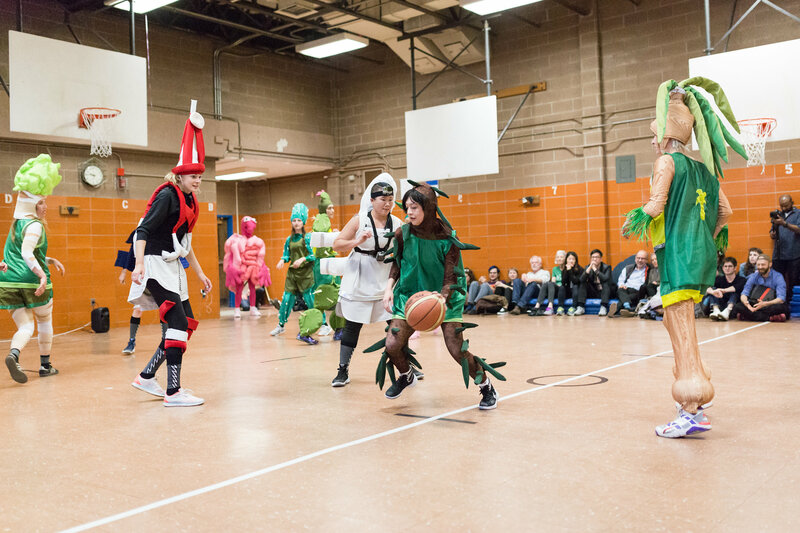 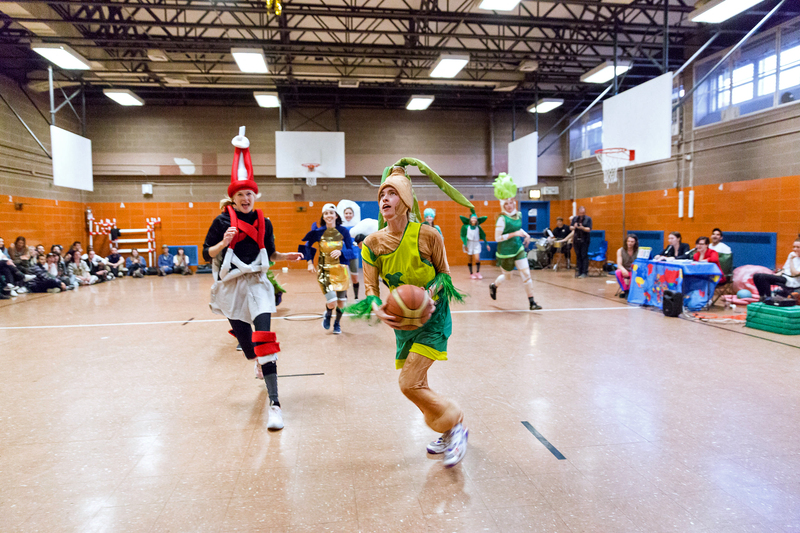 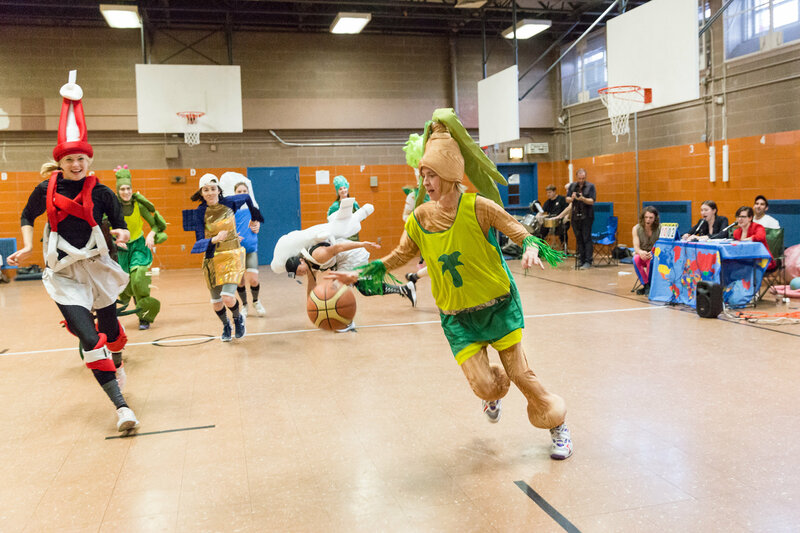 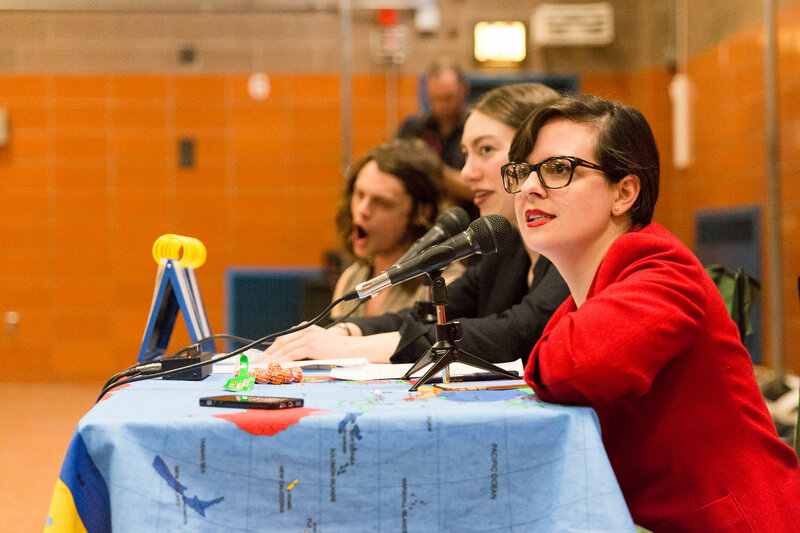 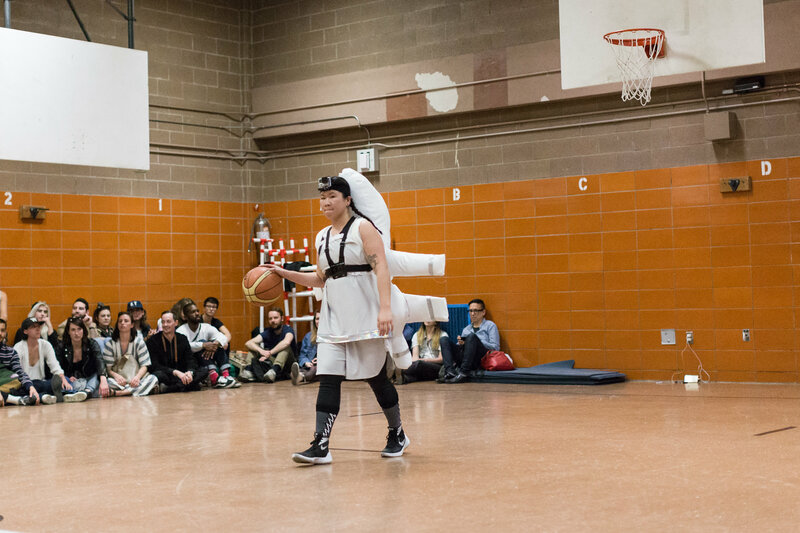 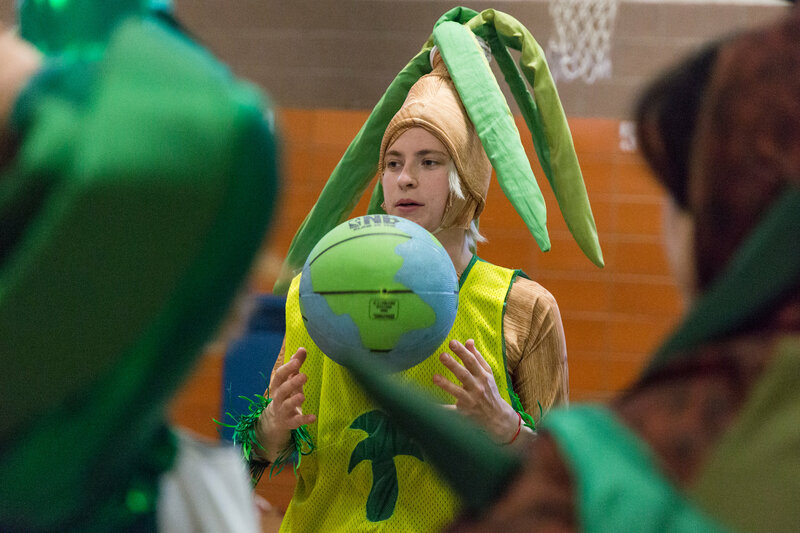 was a live basketball game and performance event that took place on April 17, 2016 at PS 142 on the lower east side of New York City. 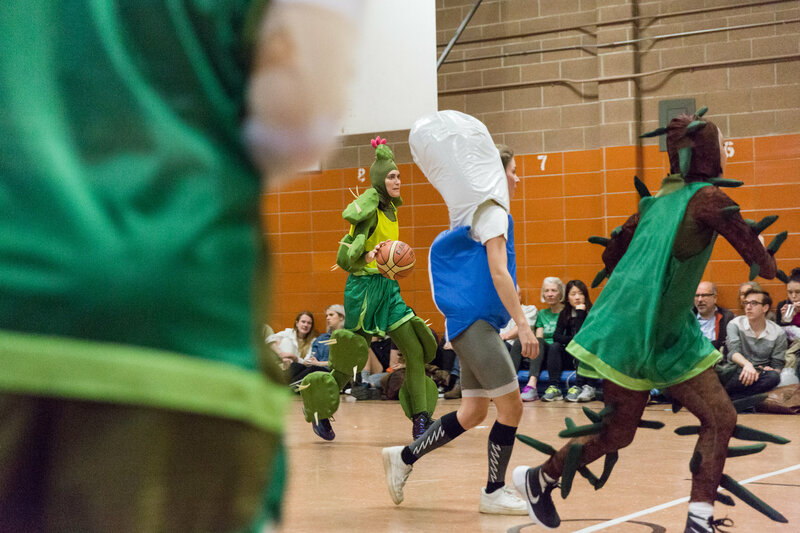 When humankind has finally blown itself to oblivion, who will inherit the earth? 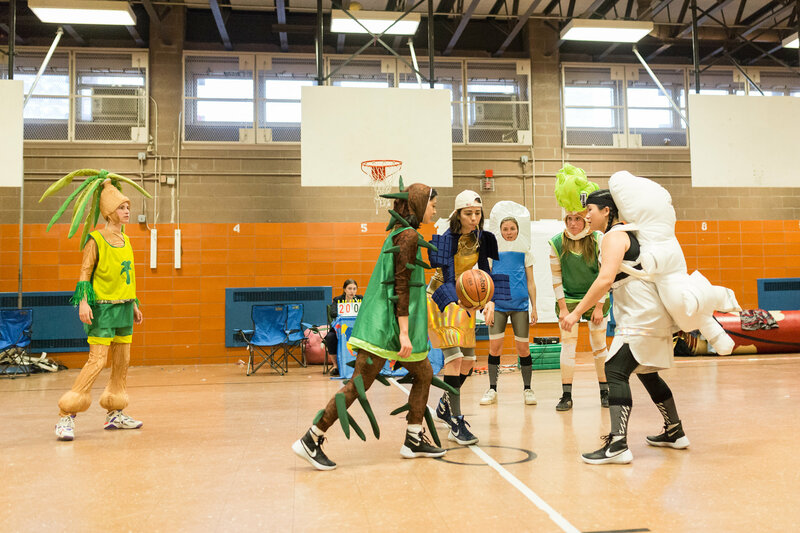 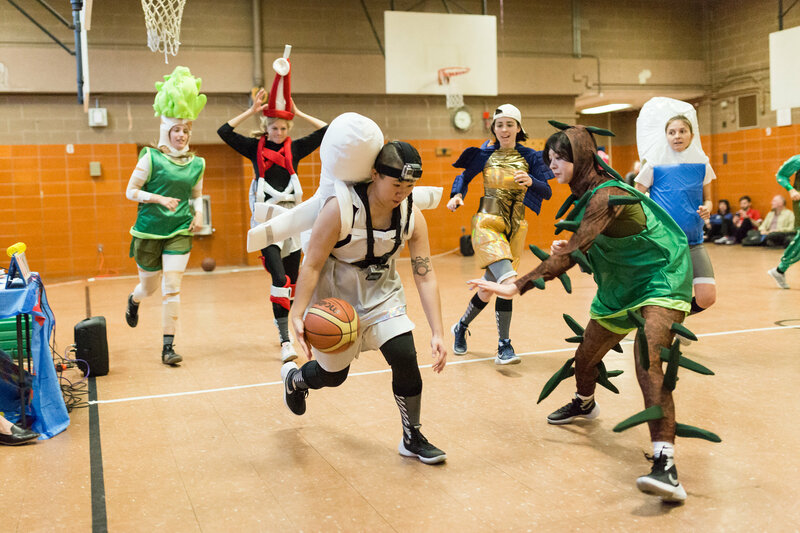 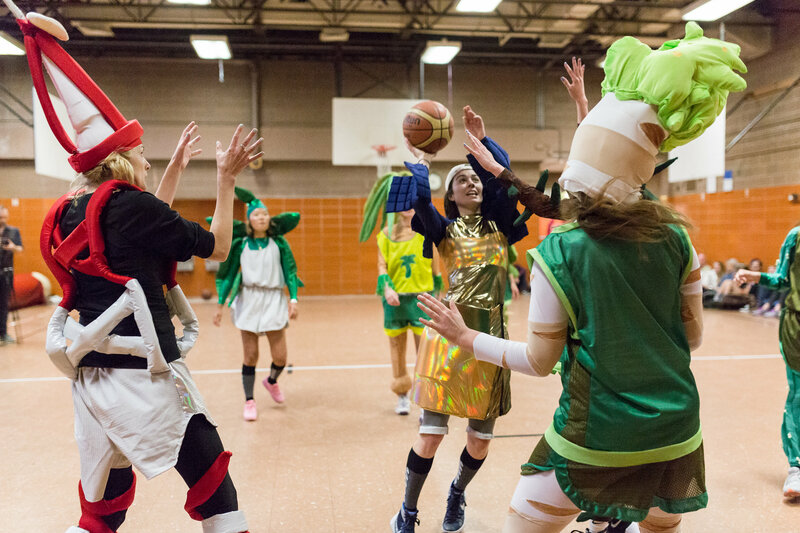 The ladies of Downtown Girls Basketball faced off in a 5 on 5 game to fight the ultimate battle of TEAM NATURE v. TEAM TECHNOLOGY, determining once and for all the evolutionary victor. 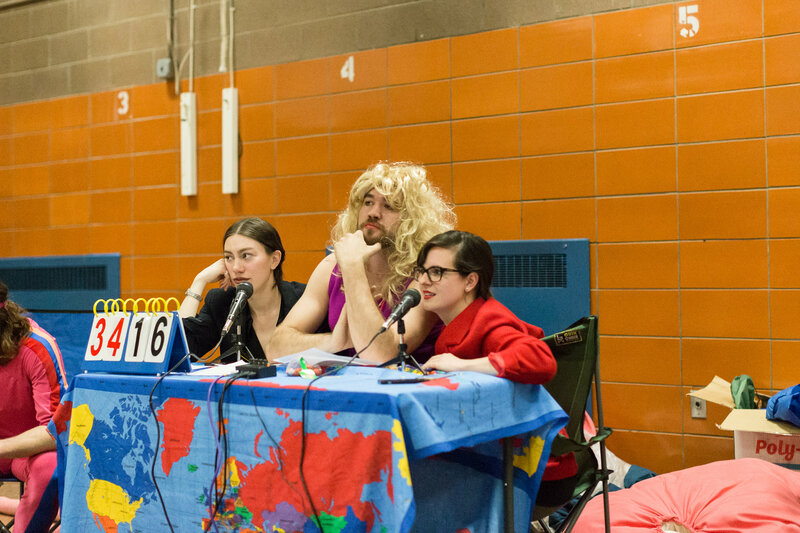 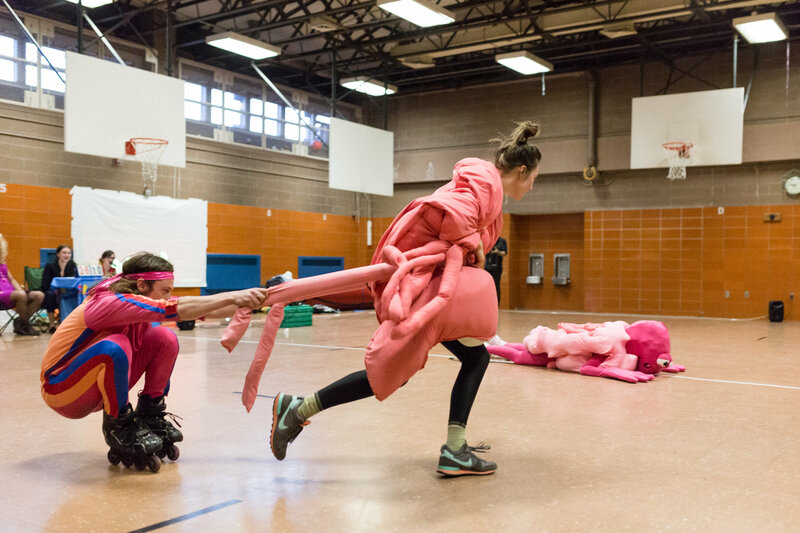 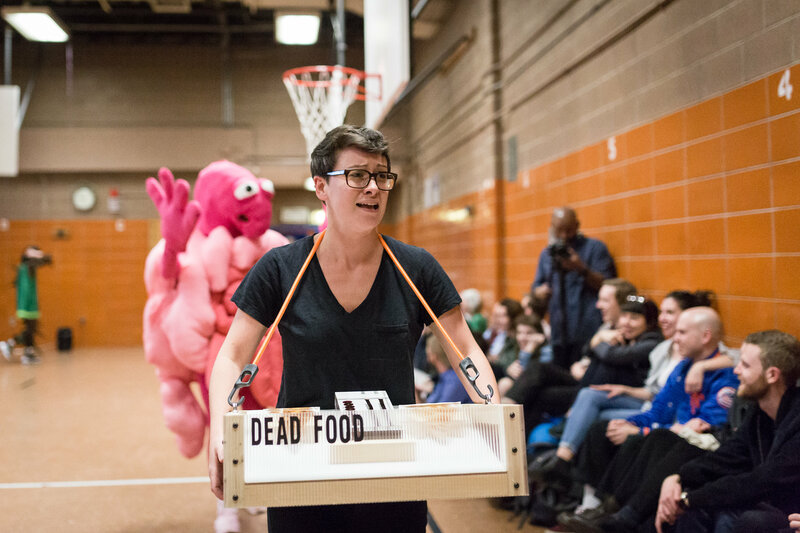 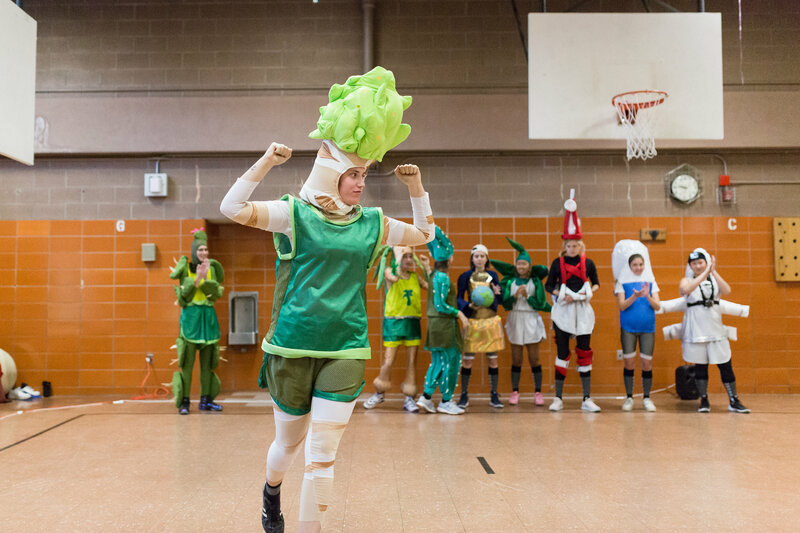 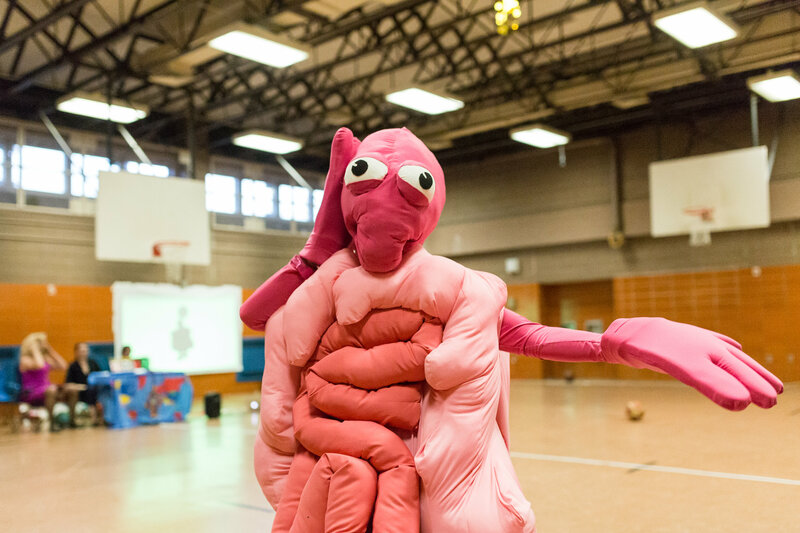 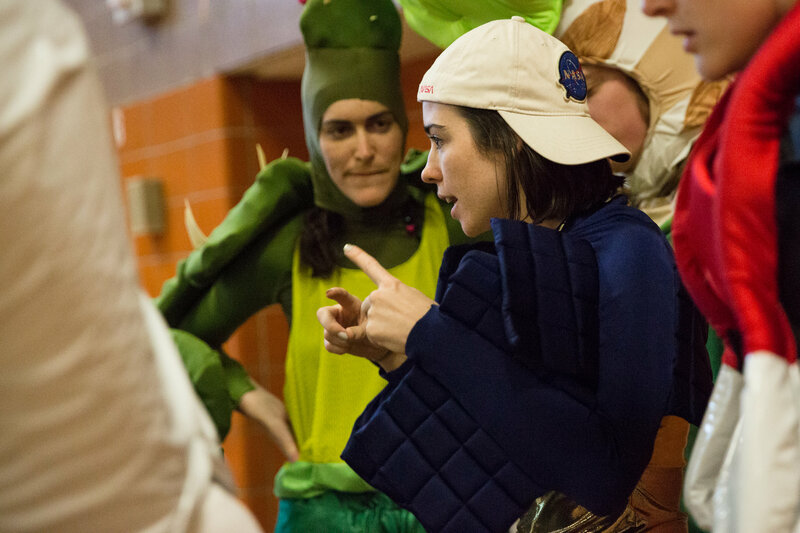 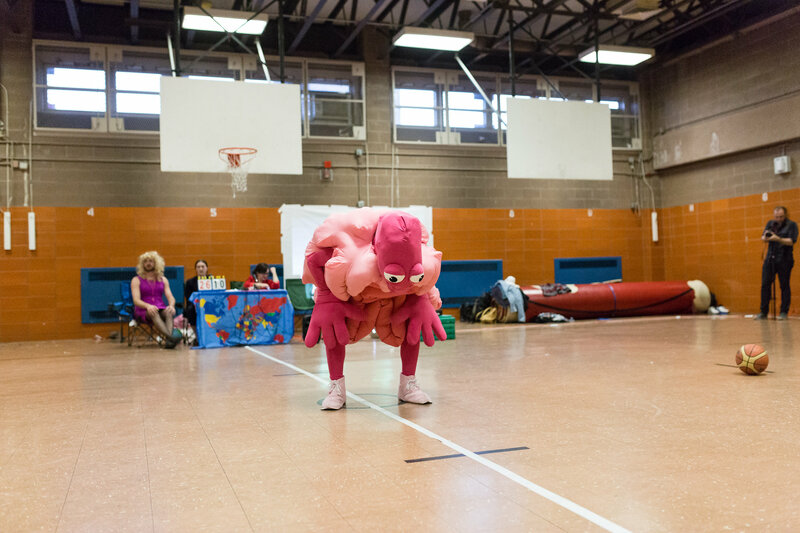 Also featuring Jamie Bayard as the Colon mascot, commentary by Madeline Wise and Caitlin Morris, rollerblading & choreography for the half time show by Matty Davis, concessions by Steph Mantis, and animations by Julian Glander. 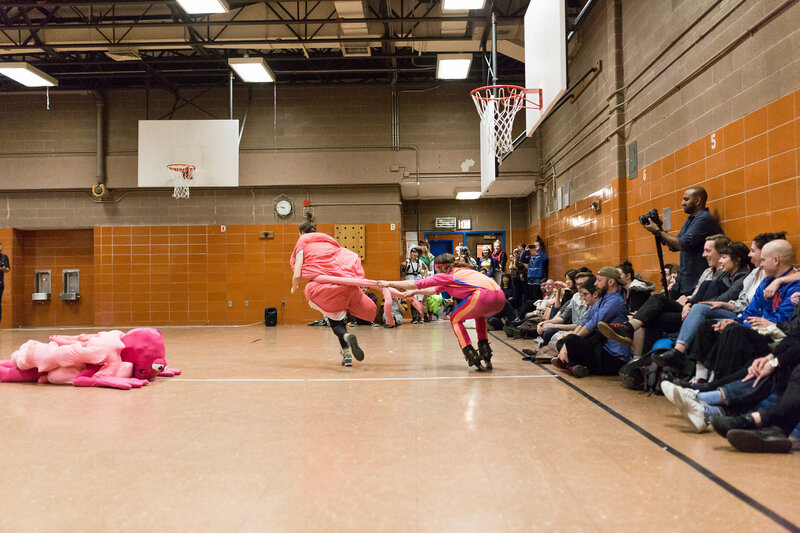 With additional support from Tucker Marder, Dan Allende, and the Dedalus Foundation. 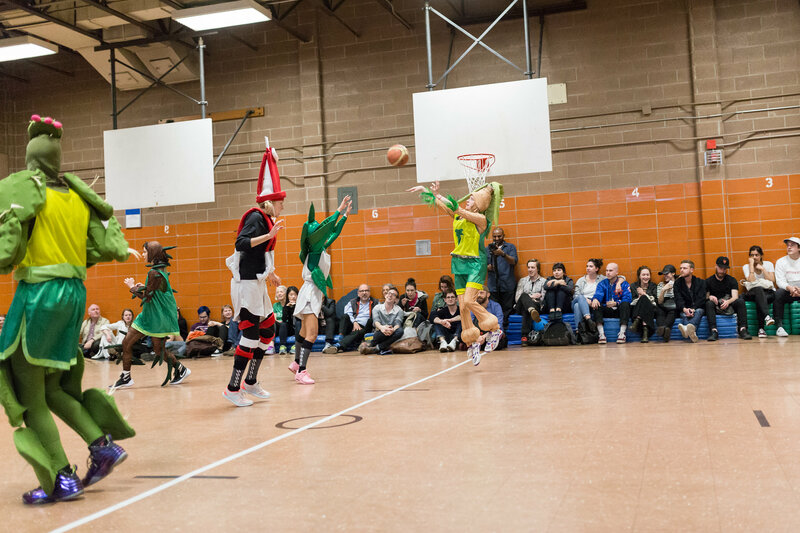 From Downtown Girls Basketball: Captain Aria Mcmanus, Andrea Bergart, Liz Hopkins, Hannah Kuo, Jenny Lee, Maureen O’brien, Cecilia Salama, Alexandra Sobiecki, Raine Trainor, and Rebecca Kaplan.